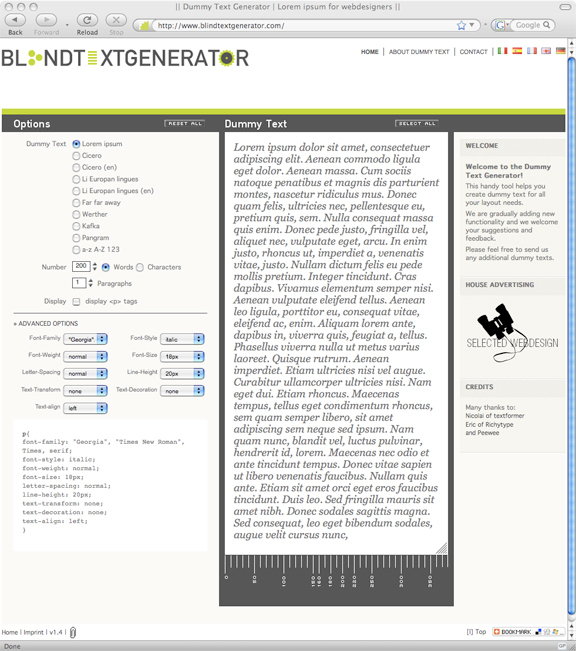 Above: Via Blind Text Generator, a handy resource for creating dummy copy. Five languages available, made possible by DieSachbearbeiter. This entry was posted by Erik Brandt on Friday, January 23rd, 2009 at 10:59 AM	and is filed under Aktuell, Education, Graphic Design, International, Typografika, Typography.